Hello Lovelies! As a girl with thick and quite curly hair, I'm always on the look for something that can help me to embrace my curls. It's not that I don't love my hair, I do but sometimes the frizziness and tangles in my hair just makes me want to straighten the hell out of it. 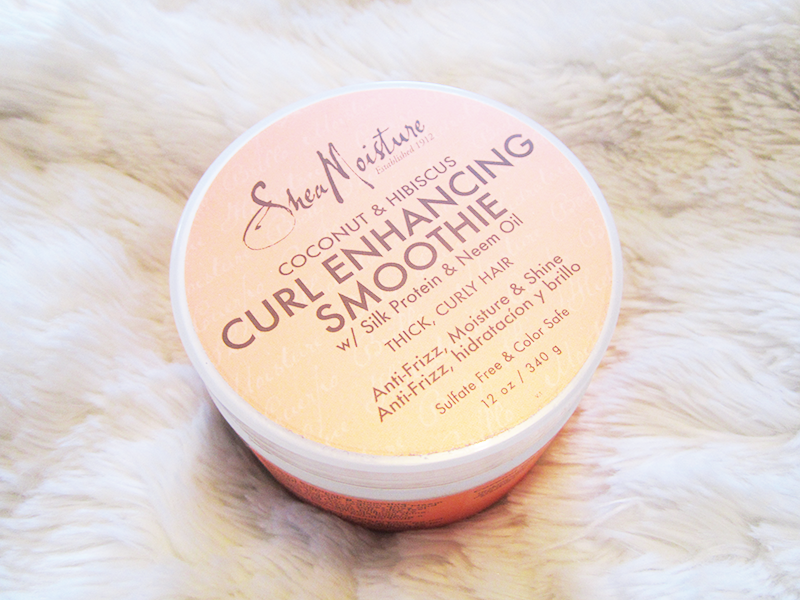 So that's why I was so excited to try Shea Moisture's Coconut & Hibiscus Curl Enhancing Smoothie (£9.99)* as it's a product specifically for thick and curly hair that tackles frizziness whilst adding moisture and shine. The first thing I have to say about this is that it smells absolutely ah-mazing! Do you ever just buy a beauty product that you keep on smelling because it's so nice? This is definitely one of those. It has Coconut Oil to hydrate and protect hair, Silk Protein to smooth and soften your hair and Neem Oil which controls frizz whilst adding shine. It's also free from lots of nasties like Sulfates and Parabens so you know that you're not putting any nasty chemicals in your hair. You can use the product in both dry and damp hair but I prefer to use this on dry hair as you really get an idea of how much product you're using as the danger is using too much can make your hair feel greasy. 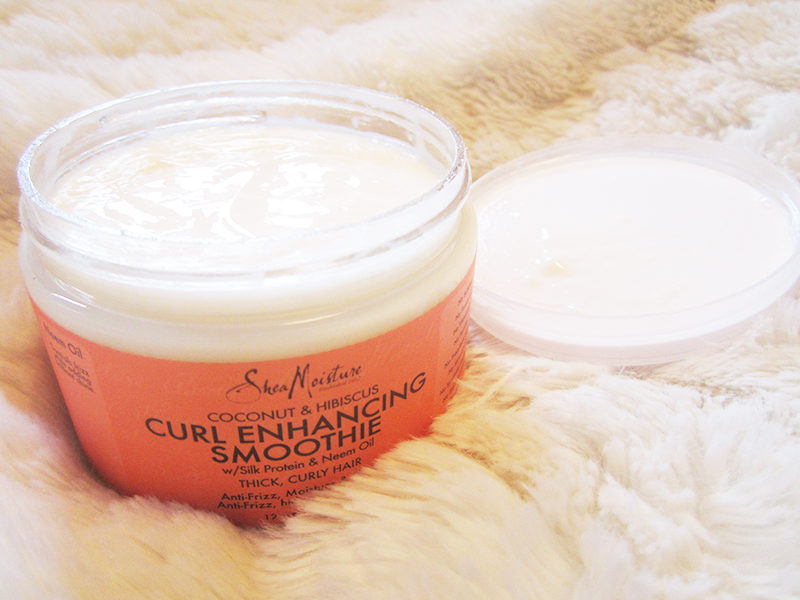 However when used very sparingly it helped to de-frizz and curl my hair whilst making it much more glossier and soft. Also because you only use a little of this at a time, I can imagine it lasting for ages as I've already used it 5 times and it hardly looks like I have! All in all I would definitely recommend this to any girls with thick and curly hair, as it really does make your hair/look and feel amazing! 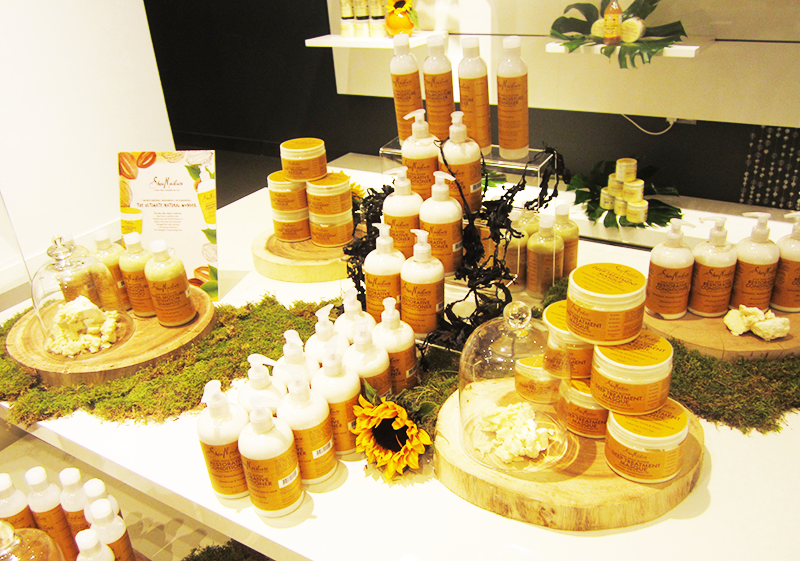 Also last week I got to attend the Shea Moisture UK launch to find a little bit more about them. Shea moisture is a family owned brand, starting all the way back in 1912 when the current owner's grandmother Sofi Tucker started selling her own homemade beauty products. 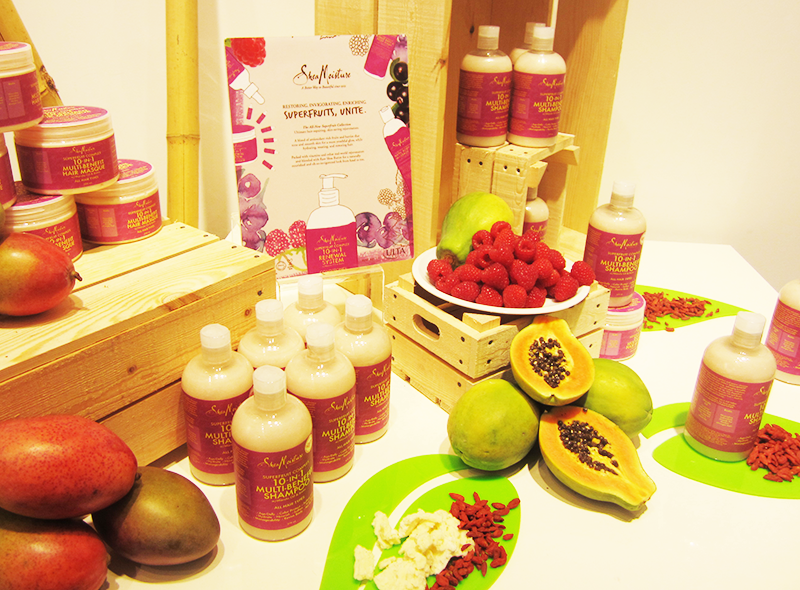 All the products are natural, with no chemical nasties and of course Cruelty Free which is great too! At the event they displayed the four collections with the raw ingredients in them which I thought was a lovely little touch as you could see all the great things that go into their production. The brand isn't just for girls with thick or curly hair as they also have some great products for people with colour or heat damaged hair so definitely check out the brand if that applies to you too! Thank you for reading lovelies! Have you ever heard about the brand Shea Moisture? I read somewhere that they are finally available over here and that is pretty amazing! I can't wait to try a few coloured hair products, I really bet everything smells delish! Yeah it's great they've come over as I feel like the market for people with curly/thick hair is quite insubstantial! Yeah they really do smell amazing! I don't think I've ever heard of them, are they UK only? I can only imagine how lovely the scent is, do you think it would be too heavy for thin, fine hair? I use the Coconut Hibiscus Curl & Style Milk. I'm not sure if you're familiar with the curly hair typing but I'm a 2A and I find the milk (it's really more of a cream) to be very lightweight but extremely effective in taming the frizzies and giving my waves definition. I use it on towel dried hair and it's wonderful! Doesn't feel greasy at all. It sounds great!! Need to try this Coconut & Hibiscus Curl Enhancing Smoothie!! Oooe these sound really intriguing! Yeah it's great to try some products I wouldn't usually buy! Aww you're welcome and yes I only seem to have heard positive things about the brand so far which is great!